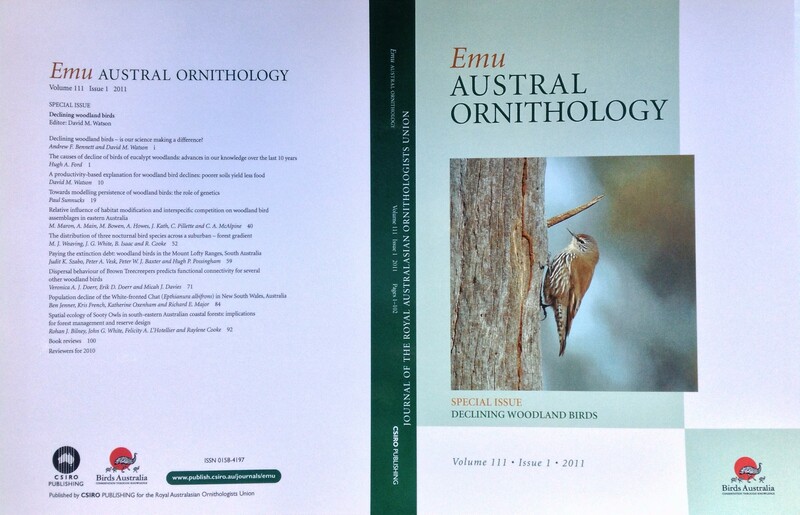 I acted as editor for a special issue of Emu:Austral Ornthology dedicated to declining woodland birds, with a range of articles exploring various aspects of this topic. Rather than pesticides, inasive predators or direct persecution, I have suggested that soil-based processes underlie the observed declines. Specifically, selective clearing of woodlands on fertile soils and overgrazing of remaining native vegetation have lowered productivity, while the storage of water has shifted from within the soil to surface reservoirs. I proposed that these changes have had a profound impact on below-ground decomposer communities, leading to fewer ground-dwelling invertebrate prey and reduced insectivore numbers. This productivity-based hypothesis is congruent with many previous findings, explaining the susceptibility of ground-foraging insectivores to changing land-use (via nutritional limitation), the sensitivity of southern woodlands (via summer drought stress), and the decreased resilience of eucalypt woodlands (via lower litterfall and greater sensitivity to eutrophication). 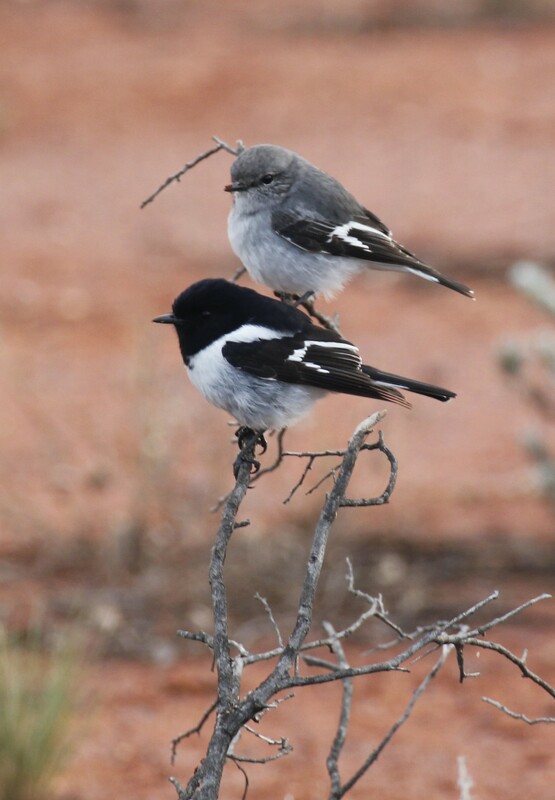 Pair of hooded robins. Photograph by Tom Rambaut. 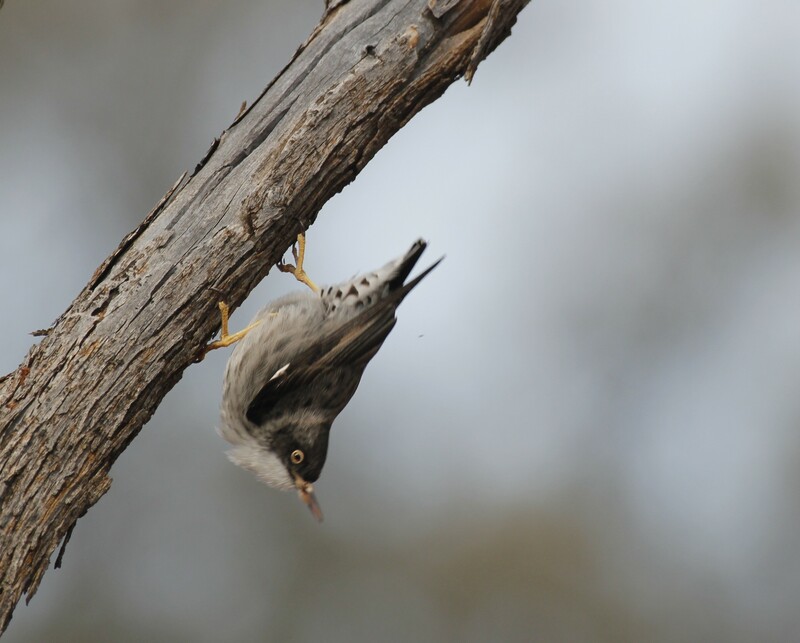 Collaborative work with Helen Stevens examined changes in occurrence patterns of birds over 21 years within continuous forest in the Warrumbungle Mountains evaluated the influence of rainfall variability on changes in the abundance of birds and species occurence. During this period, six common insectivores declined significantly (Superb Fairy-wren, Malurus cyaneus; White-throated Gerygone, Gerygone albogularis; Grey Shrike-thrush, Colluricincla harmonica; Rufous Whistler, Pachycephala rufiventris; Grey Fantail, Rhipidura albiscapa; Eastern Yellow Robin, Eopsaltria australis). Rainfall significantly predicted the abundance of 13 of the 25 most common species, with the rainfall period of both July–December of the previous year and the combined effects of six years of January–June rainfall correlated with changes in the abundance of birds. Prolonged drought has likely driven food shortages (especially of litter-dwelling arthropods), with changes in avian community composition reflecting changes in food availability. 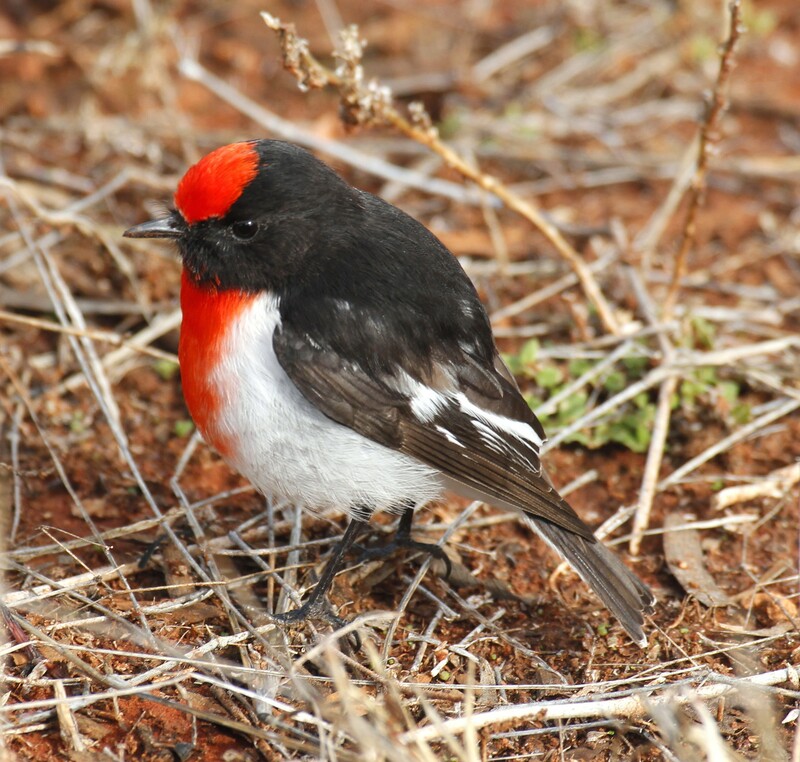 Thus, avian declines in southern Australia may reflect the combined effects of habitat fragmentation and other landscape-scale changes in concert with larger-scale ecological processes driven by decreased rainfall pdf.